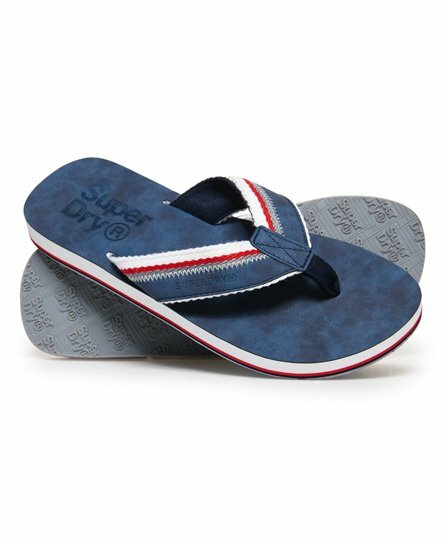 Superdry men's Roller flip flops. A must have summer shoe, these flip flops feature a canvas upper strap with stripe detailing and a branded sole. The Roller flip flops are completed with a debossed Superdry logo on the strap.